It happens every season. There's a dress that is perfect. A perfect dress is suitable for any occasion and is comfortable and easy to wear. You know the kind of dress I mean. One that you want in every color! 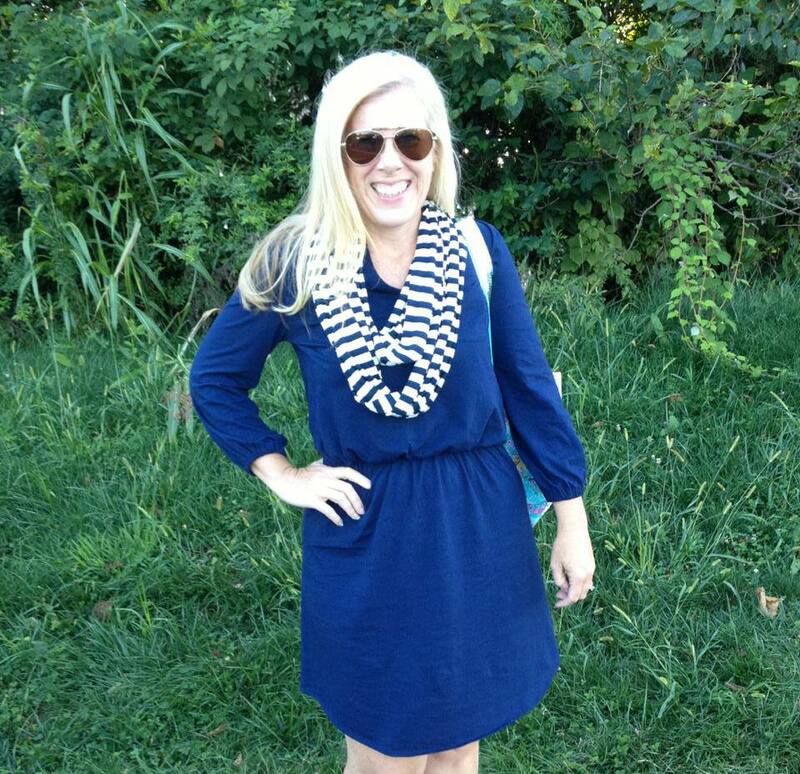 The Beckett Dress from Lilly Pulitzer's Fall Collection fits the bill quite nicely. I ordered this dress from my friends at Pink Silhouette without trying it on and had my fingers crossed that it would fit. After sliding on the soft Pima Cotton Jersey dress, I instantly fell in love! A size small fits nicely in the bust, hips, and waist. I've been wearing a 4 or 6 in Lilly and believe that this dress fits true to size. I'm 5'4" and the shirt tail hem falls a little bit above the knee. Appropriate for work or play, you can dress up the outfit with jewelry or a scarf. I plan to wear this with boots in the fall. Quite simply, the Beckett is the perfect dress. Since I received the navy dress, I've ordered it and Tropez Blue and would love more colors. What's your favorite dress for fall? Love it! I think that blue is going to be the fall color this year. Everyone posting about fall fashion has me anxious for fall to actually arrive!